October 18, 2011 – At RSNA 2011, CoActiv debuts its Exam-RIS v.2.0, an advanced, customizable Web-based radiology information system (RIS) that brings a full range of premium features to the management of medical images, while integrating seamlessly with CoActiv Exam-PACS (picture archive and communications system). From comprehensive, specialized worklists and automated referring physician communications to a seamless HL7 interface for billing and more, new Exam-RIS, powered by Swearingen RISynergy, will help imaging sites manage workflow with complete electronic ease. The software is offered as an affordable alternative to more expensive RIS on the market. Providing a consistent interface from scheduling to report signing, Exam-RIS supports efficient, seamless workflow and delivers tools for radiologists, technologists, schedulers and administrators. The new RIS offers a full-featured scheduling module and sortable worklists for the radiologist, technologist, front desk, transcriptionists and more. The patient registration feature captures a full range of data from other hospital systems, or it can be input directly into the system—from identity and insurance information to ICD9 codes. Fully HL7 enabled, the RIS is flexible enough to interface throughout with complementary hospital and imaging center IT applications, including coding and billing. Exam-RIS provides a radiologist interpretation module supporting all major third-party dictation, transcription and voice-to-text systems (voice recognition applications), while the built-in transcription module delivers a wide range of premium features, including boilerplate texts and extended macros. Physician reporting can be automated through fax, encrypted e-mail or secure direct Web access with flexible permissions. 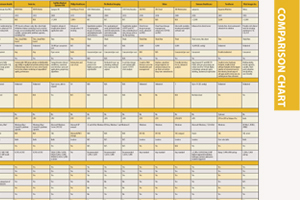 A technologist worklist provides an overview of the status of all exams for a selected day. Helpful premium features include the ability to track patient arrivals in real time as well as patient waiting times to enhance workflow management and quality of service. A front desk worklist provides a snapshot of all daily exams with additional features such as color-coding, appointment modification and viewing by exam priority. The RIS also has a specialized transcriptionist worklist as well as a manager’s worklist.